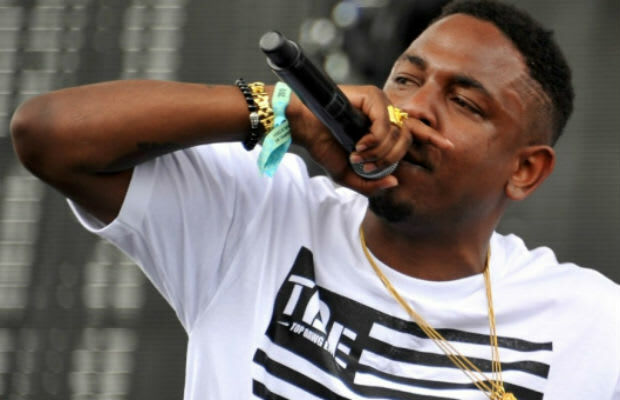 Kendrick Lamar's major label debut was the most talked-about rap album of 2012, but with mass praise comes contrarian objection. Some have argued that good kid, m.A.A.d city is a cool art project but lacks the bangers that are requisite of most hip-hop classics. Obviously, those folks haven't heard "m.A.A.d city." This is an album cut and it actually gets played in nightclubs. Patrons lose their breath trying to rap along to every word, but most succeed in the emulation. "m.A.A.d city" has that kind of hold on its listeners. While it does fit into the linear narrative of the album's short film format, this song stands all on its own—particularly the frenetic first half of the record. The spastic flows make moments like Kendrick simply rhyming his friends' names, what street they're on, and the tragic outcome an art of woven word: "It was Me, L Boogs, and Yan Yan, YG, Lucky ride down Rosecrans/It got ugly, waving your hand/Out the window, check yo self, uh, warriors and Conans/Hope euphoria can slow dance/With society, the driver seat the first one to get killed."